Shoulder pains can be quite a problem. It may impact your sleep, driving, and brushing your own hair. One type of shoulder pain includes the pinching of the tendons in the inside part of the shoulder joint; this is referred to as called Shoulder Impingement. The shoulder joint is complicated. There is very little space inside the joint and this is what allows the ball and socket joint to work properly. 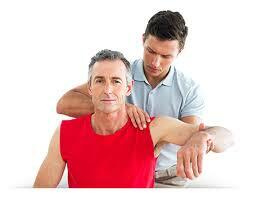 n the socket are an elaborate arrangement of little muscles known as the rotator cuff muscles. They continuously correct their tension to keep the ball in place and when needed, to pull it downwards. THE CAUSES OF SHOULDER IMPINGEMENT? Shoulder Impingement can happen when there's an imbalance of the opposing forces of the downwards pull of the rotator cuff and the upwards pull of the deltoid. When there's a decrease in the pull in the rotator cuff, the little space which exists over the very top of the shoulder between the ball and socket gets very narrowed. This may cause swelling and bruising of the rotator cuff tendons, pain, or pressure on the bursa that sits between the very top of the socket along with the tendons. The very first thing when evaluating patient with shoulder impingement is to do a complete evaluation of the function of the shoulder. 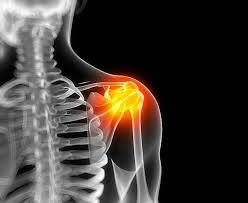 any imbalances in the muscles supporting the shoulder which could be causing the pain. In addition, it is important to look at the flexibility of the muscles round the shoulder. Tight muscles round the rear of the shoulder can lead to impingement and also can drive the ball upwards. Treatment may include ice program and anti-inflammatory drugs to simply help reduce any swelling or inflammation of the structures in the impingement region. Once the inflammation and the pain has settled and the shoulder function continues to improve, we direct our patients re-introduce some of their activities as tolerated. • Have your shoulder evaluated by your MD or a physical therapist.